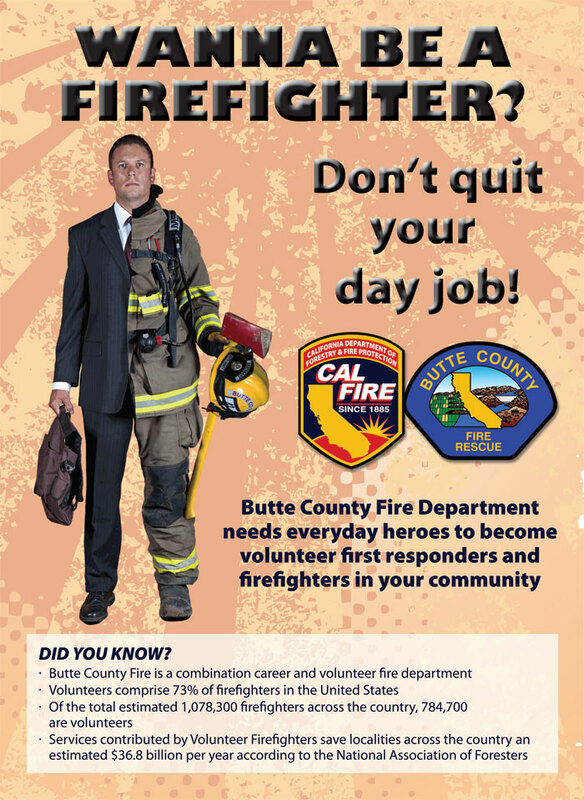 Butte County encourages applications from all interested citizens, regardless of race, gender, occupation, religion, ethnicity, or any other factor. 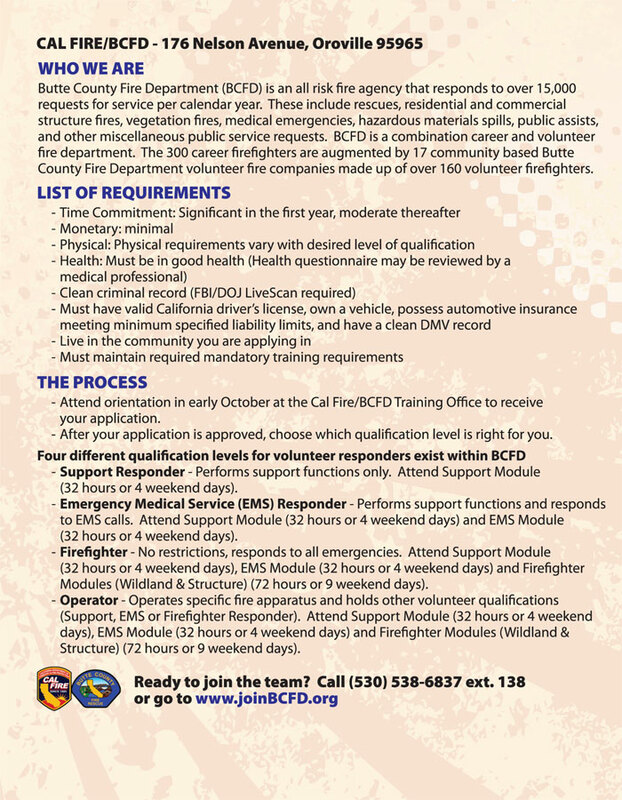 Once you fill out an application, it will be sent to the volunteer training officer. After your application has been reviewed, you will be contacted. Tell us about your hobbies/interests etc. 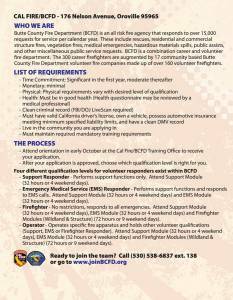 CAL FIRE, Butte County Fire Department Training & Safety Bureau. ©2019 All Rights Reserved.